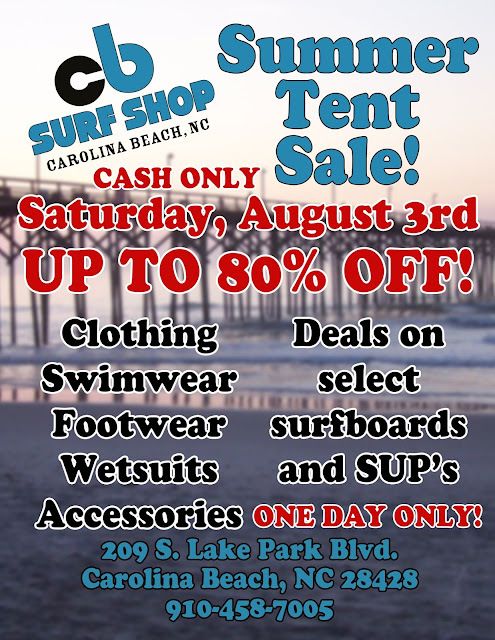 CB Surf Shop: Tent sale, Saturday, August 3 in the back parking lot!! Tent sale, Saturday, August 3 in the back parking lot!! Alright folks, mark your calendars and spread the word! Saturday, August 3 we're having a tent sale!